This little postcard comes stamped with a kiss! Simple white postcard design with a bold red heart as the stamp. Postmark reads Feb 14th, 2013 - Valentine's Day! If you'd like a different message, or perhaps a different special date, just message me! 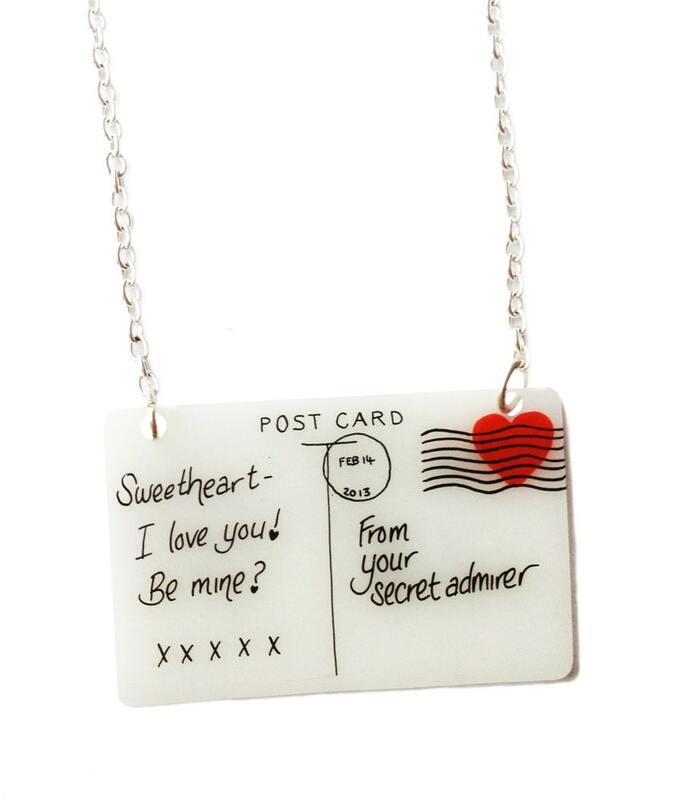 Approx 4.5cm wide, however as each piece is hand made and drawn just for you, sizes may vary very slightly. Your postcard will be suspended in the middle of a 16" trace chain, with a 2" extension chain.